Spring Musical – Home Of The Patriots! 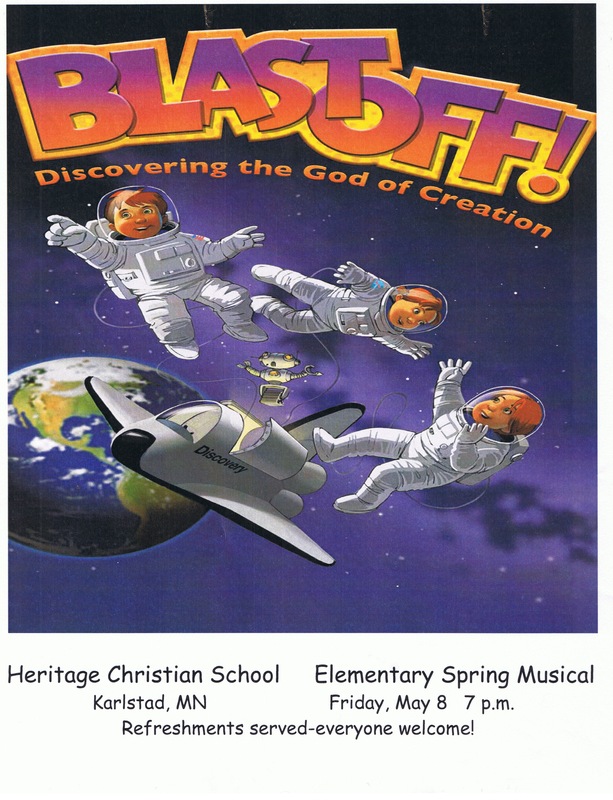 Heritage Christian School Proudly Presents the Elementary Spring Musical! Come Join us on Friday May 8th for a festive time and refreshments. All are welcomed with the event beginning at 7 p.m.
Come support all the hard work that our Elementary Students have put into this Musical.